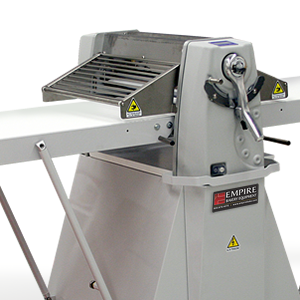 Empire’s EMP-LAM Reversible Floor Sheeter is the ultimate multi-task tool for your bakery. 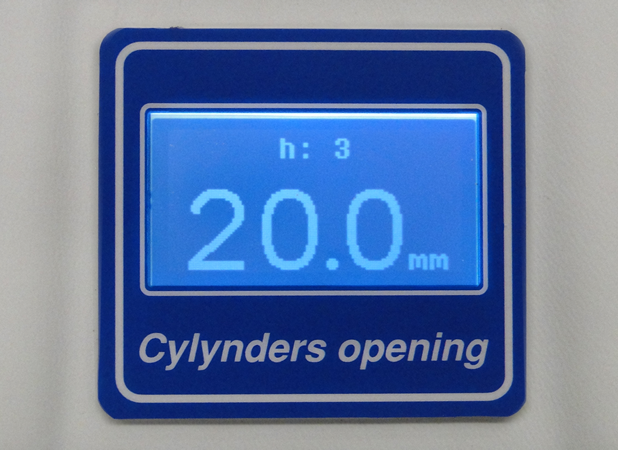 It’s ideal for laminated dough, pie crusts, cookies, fondant, pet treats and so much more! 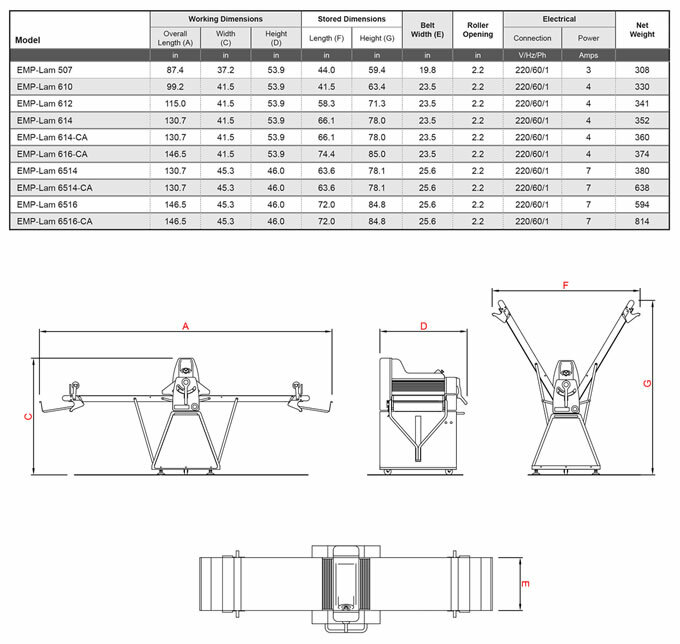 Large diameter rollers and significant dough capacity will provide you with consistent, high quality production while the easy-to-read digital display allows for precise control over sheeting thickness. 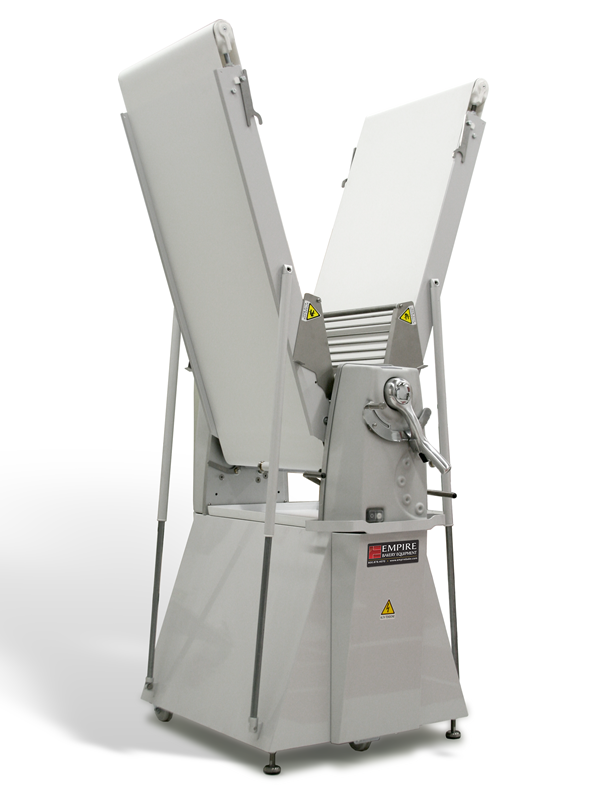 When you’re finished for the day, removable polyethylene scrapers make cleaning a snap and its folding design and footlever activated rolling system make for easy storage. 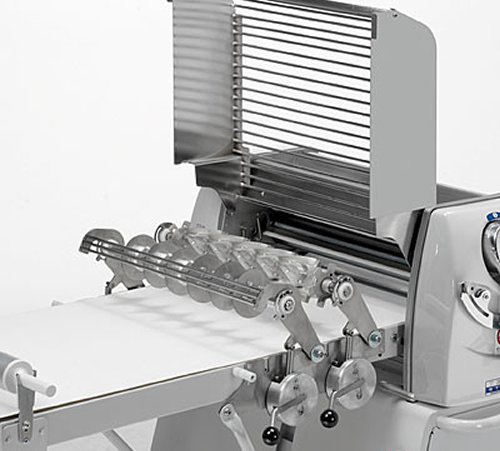 Include the optional cutting attachments to expand this sheeter’s capabilities even further. Clean design and rugged construction ensure years of troublefree performance from Empire’s LAM Reversible Floor Sheeter. With all of these benefits it’s easy to see why the EMP-LAM is the must-have tool for your bakery!